According to the Food and Agriculture Organization of the United Nations (FAO), the global estimates of the number of people who are chronically malnourished have increased to 815 million from 777 million in 2015. 1 This alarming status of global food security is because of the imbalance between global agricultural output and ever-increasing global food demand. Even though researchers have continuously focused on agricultural innovation, plant protection against pathogens, animals, and weeds have continued to be of concern to the research community. Ag Innovation Showcase celebrating its 10th anniversary has been a pioneer in spurring thoughtful global discussions regarding agriculture innovations among public-private partnerships, highlighting new frontiers in agriculture research, going beyond geographical boundaries to understand consumer trends while ensuring to promote transparency across the food chain. We continue to work hard to keep ahead of the curve by bringing the concerns facing the industry at the forefront during this event. The continued exploration of the uses of microbes in different facets of plant and animal health has been our focus from last few years. In 2011, we highlighted the work of the company, C5.6 Technologies, LLC. Their innovative process used microbes and molecular biology techniques to convert agricultural and forestry feedstocks into high-value chemicals, food products, etc. In 2014 we highlighted BioConsortia, uses its proprietary strategy of directed plant-microbe selection, couple with the microbiome analyses to drive plant trait development. In our upcoming Ag Innovation Showcase 2018, we are highlighting two companies – Pathway BioLogic and Pivot Bio who have further extended the use of microbial technologies in plant disease prevention. Pathway BioLogic, innovative inoculants targeting global crop production and animal health/nutrition. 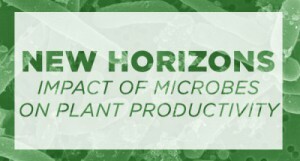 Pivot Bio, innovative ON Technology ® utilized the native ability of naturally occurring microbes to provide nitrogen fixation in cereal crops. The state of food security and nutrition in the world 2017, Building Resilience for peace and food security, Rome FAO, IFAD, UNICEF, WFP and WHO 2017. Crop losses due to diseases and their implications for global food production losses and food security, Food Security, S. Savary et al., Dec 2012. Can plant microbiome studies lead to effective biocontrol of plant diseases? Ellis JG, Molecular Plant-Microbe Interactions, Vol. 3, No. 3, 190-93, Mar 2017. Employing wheat’s bacterial partners to fight a pathogen, Whitaker BK, USDA Blog, visited on 08/09/18.